Team FishingMad – Alan Bonnici, Mark Moseley, John Regali and Michael Smith hit the Nong for a session on the Bream. The fishing was quite challenging and it took some time to get going but the team landed many Bream between 28cm and 38cm. 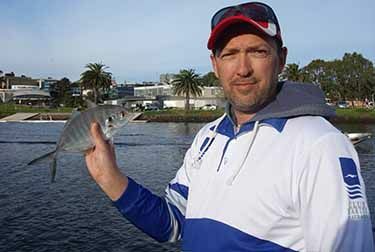 Mark also caught a nice silver Trevally. Make sure you check out our video of the day found within our Videos section.